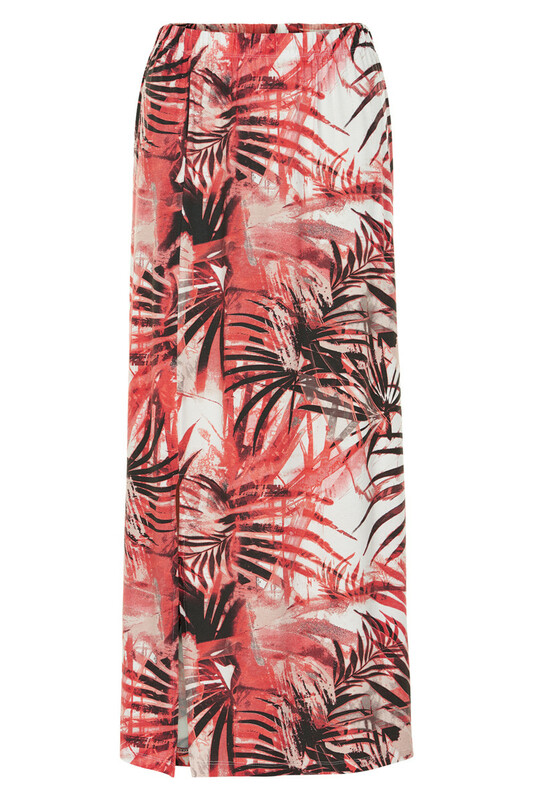 Cream skirt in a lovely summer print of palms in a lovely viscose/elastane quality with stretch by the waist. The skirt has a longer slit on the front that gives a better movement and by that a better comfort. The skirt is long - but it depends if you want it placed on your waist or on your hip.